First of all, I'd like to say thanks to my brother, who wrote my first ever guest blog! His photos were amazing and from here on, he will be taking photos for my blog when he can! On a sadder note, I made a batch of scones today that, once again, didn't rise! 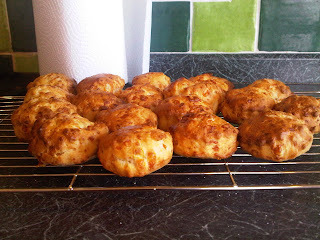 I've tried everything from cutting them smaller/bigger/thicker, Delia to BBC Good Food, adding more/less cheese, the lot! Here, I used the recipe from the BBC Good Food channel and I followed the recipe word for word and yet mine look nothing like theirs do! I did get 20 out of a recipe for 8-12 but this surely cannot be the reason as mine were cut out at 2cm thick like instructed! It's so disappointing when things like that happen. My Granny's scone recipe is always the best for me, everytime I have tried a different one the scones haven't turned out right. 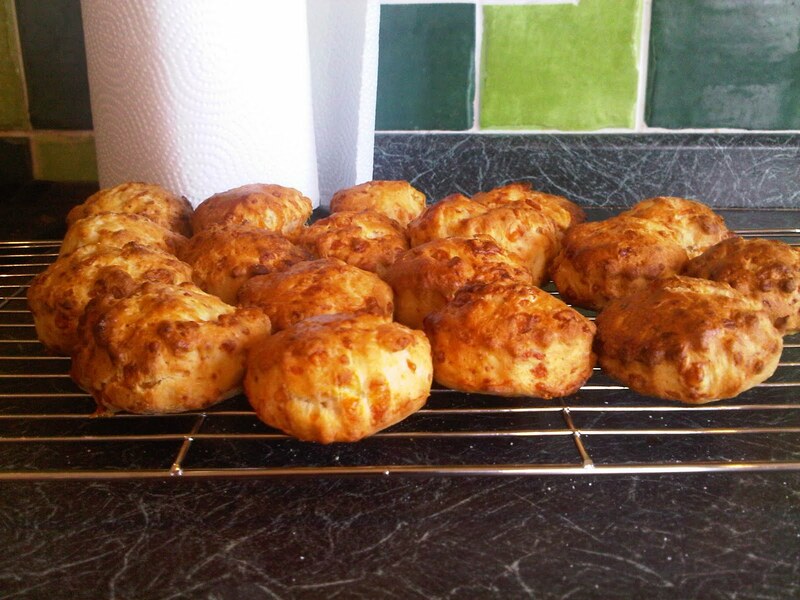 I'll be making scones in a couple of days time so will most likely write up the recipe if you fancy having a go! Please make them soon, my boyfriend loves scones and I forever disappoint! Do you twist the cutter when you cut them out? That can "tear" the sides and inhibit rising? Do you glaze them and let the glaze run down the sides? Again, that can stop them reaching their full potential? I tried the same recipe and the scones came out like fat digestive biscuits. Well I noticed most other recipes on the web had an egg in the milk mix and used self raising flour. The recipe on that link has no egg and plain flour. 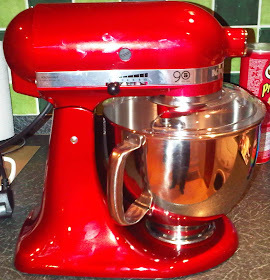 I'm going to try another recipe from Nigela tomorrow.